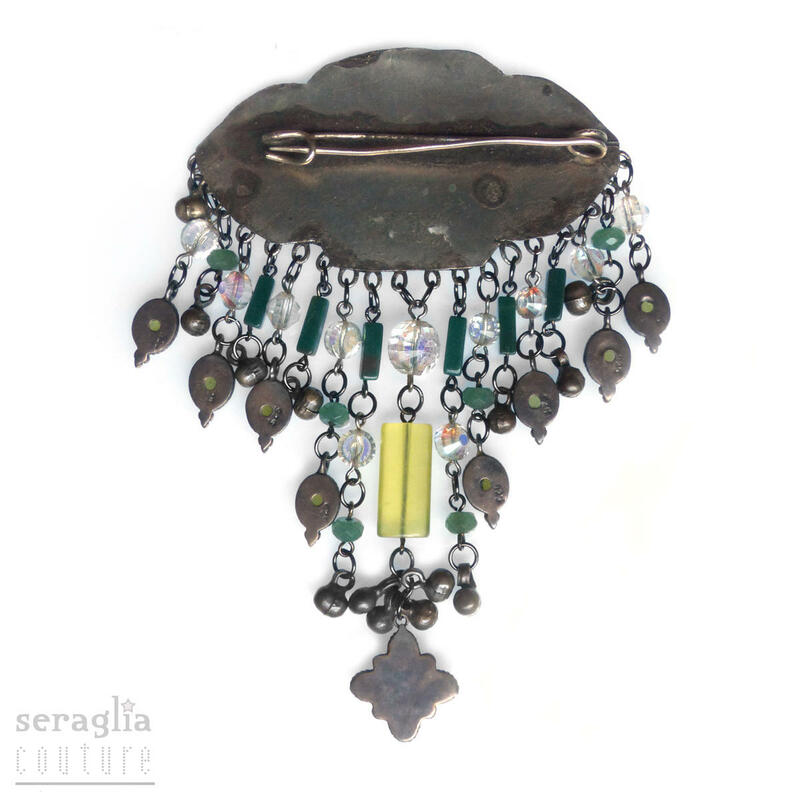 Treasures of India, Burma and Canada combined to charm and entice. 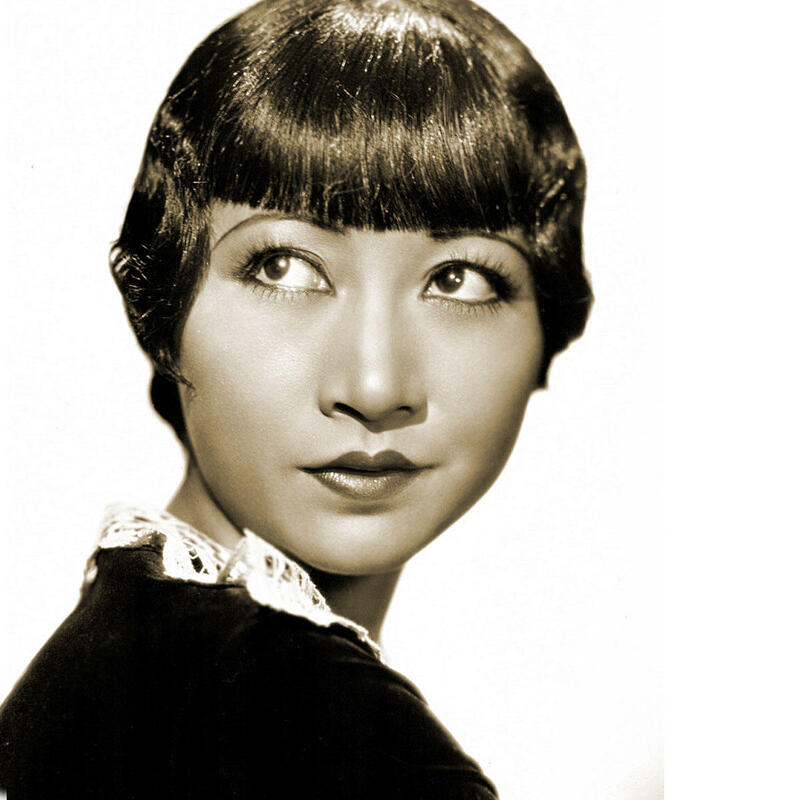 Inspired by the 'dragon lady' roles played by the the first Chinese American international film star, Anna May Wong. 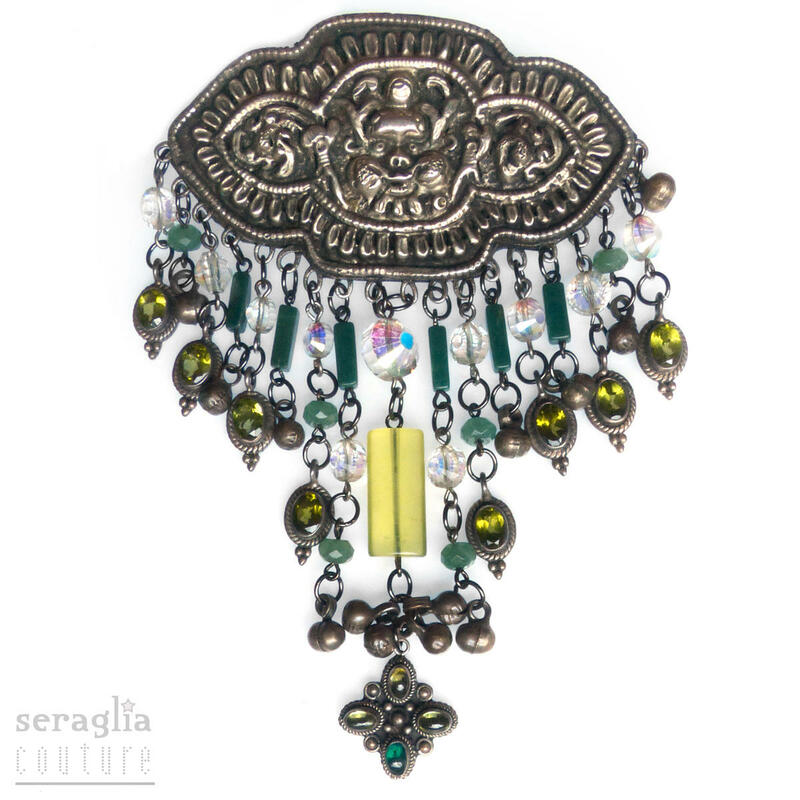 The antique South Asian Repoussé brooch features a fierce stylised 'Kirtimukha' guardian figure in hand punched high grade silver, with a white metal back. 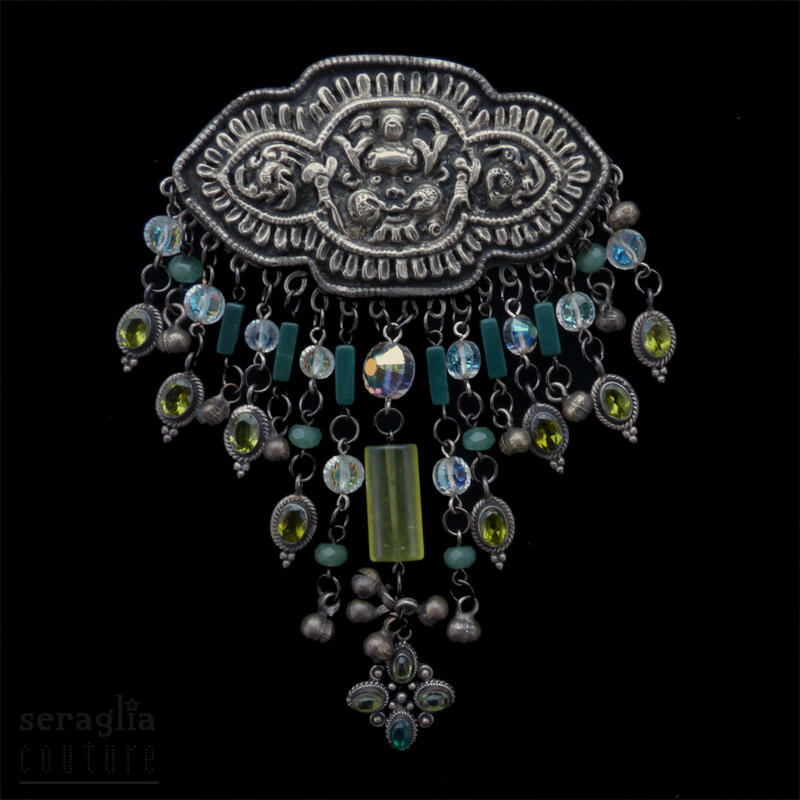 The original pendants were missing and have been replaced with sterling silver Indian pendants with gem cut and cabochon peridots, a modern Canadian new jade accent bead and faceted chalcedony rondelles, vintage aurora borealis cut glass beads and vintage silver plated Indian brass bells.